Friends, it’s no question that it’s a dark week. It’s RNC week, after all, a time when a person can’t even listen to NPR while getting ready for work in the morning without getting pummeled by a Mike Pence sound bite. For some reason, all animals look hilarious licking windows. 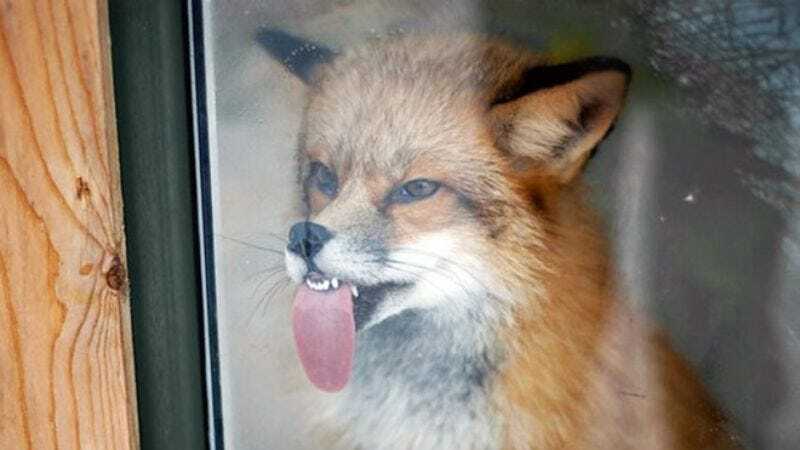 Tongue or no tongue, teeth or no teeth, crossed-eyed creatures like dogs, otters, and a somewhat confused-looking fox are all captured in unfailingly awkward, glass-licking positions. You’ll probably LOL just looking at these (may we suggest a random screen saver to lift faltering spirits), but there may be an underlying message here we can all agree with: Like us, these animals all seem to be saying, “Get us the hell out of here, already.” So thank you, Sad And Useless, for these all-too-brief moments of levity; we’ll probably visit you a lot before November.